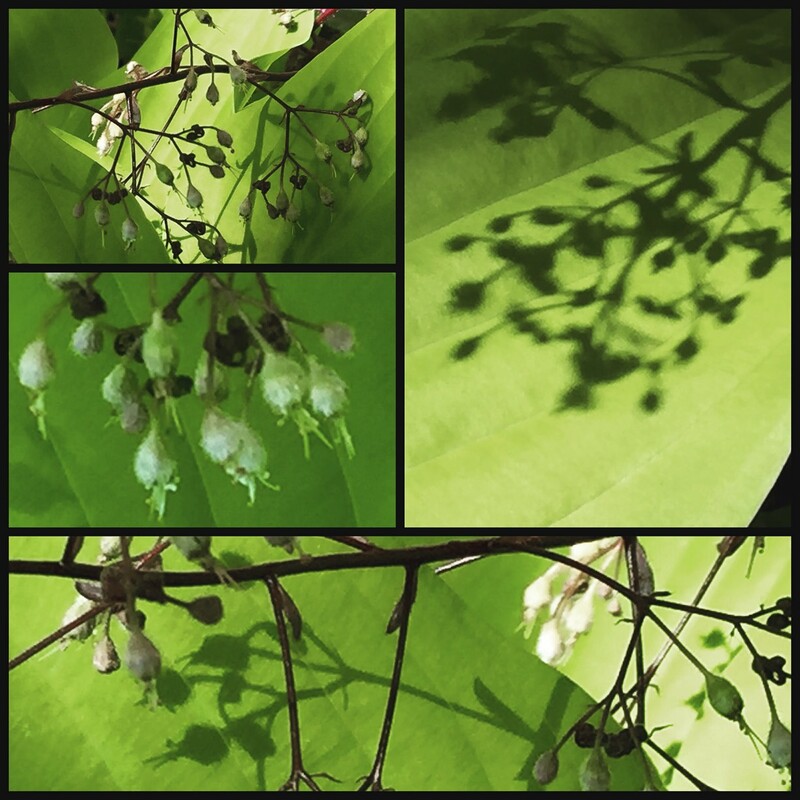 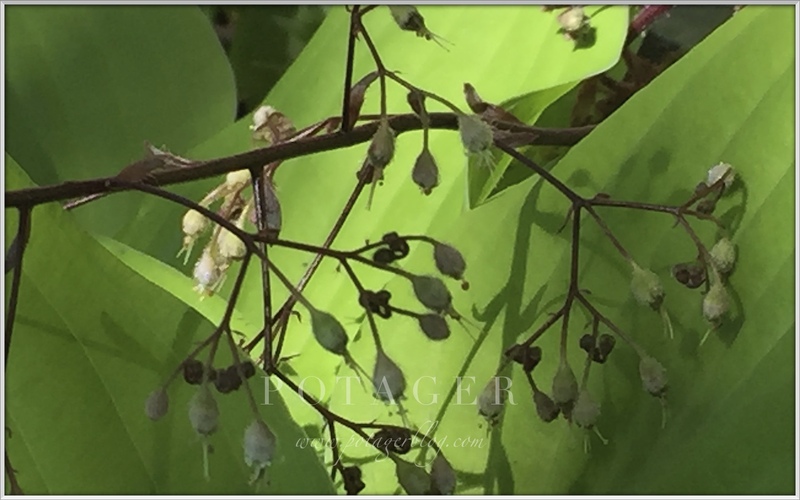 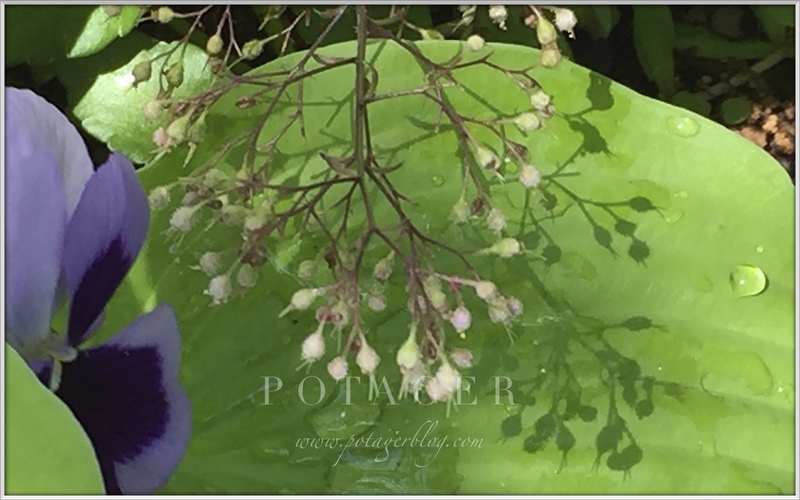 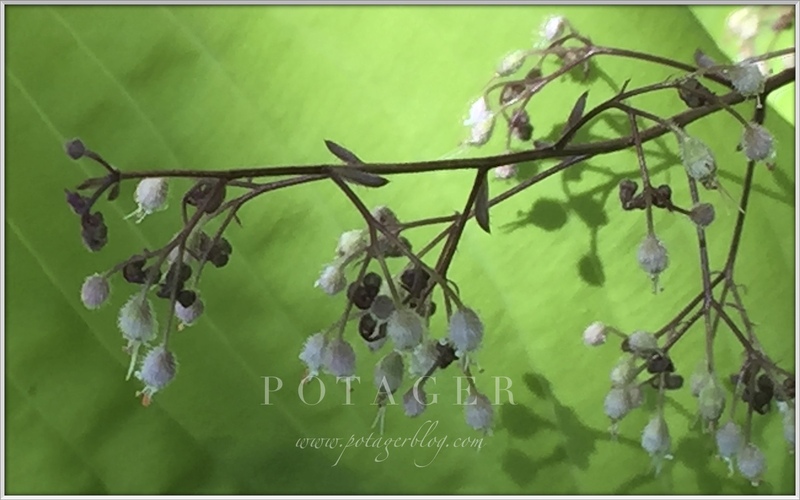 the intricate outline of coral bell blooms, and the way their shadows moved and swayed with the breeze...so grateful that their beauty captured my attention; so grateful that I had the time to notice them...and be mindful of them in the moment. Like many others, I am fascinated by this whole Mindfulness phenomenon. 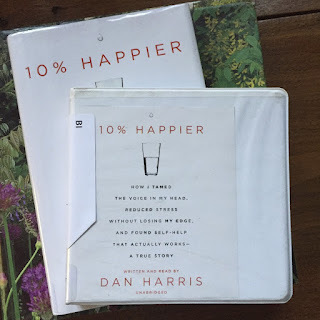 The practice of living in the moment; being saturated in the moment; recognizing the transience of the moment...the 'we only have NOW' moment and the link this presentism has to happiness. 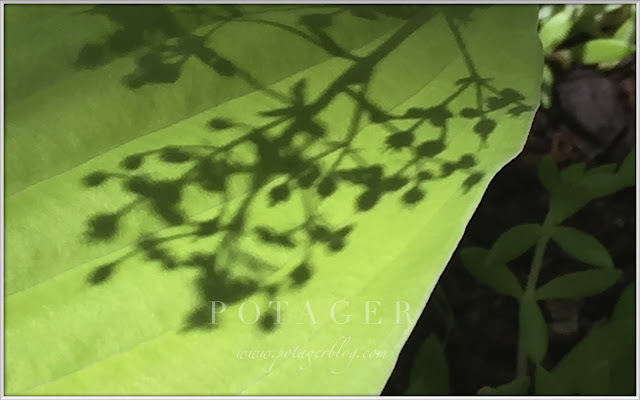 These luscious shadows reminded me of what an exceptional couple these two plants make. 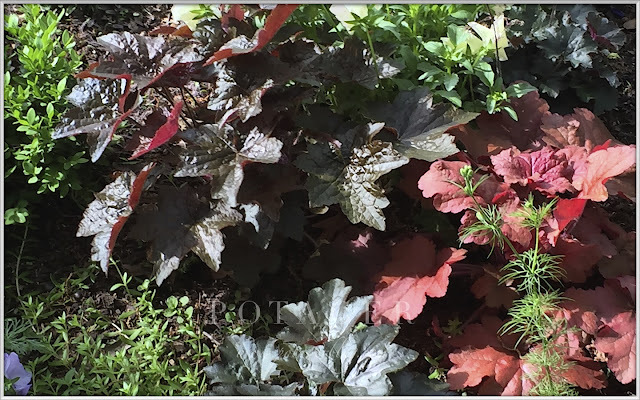 Their colors, textures and growing habitat are all simpatico, making for a very happy marriage. 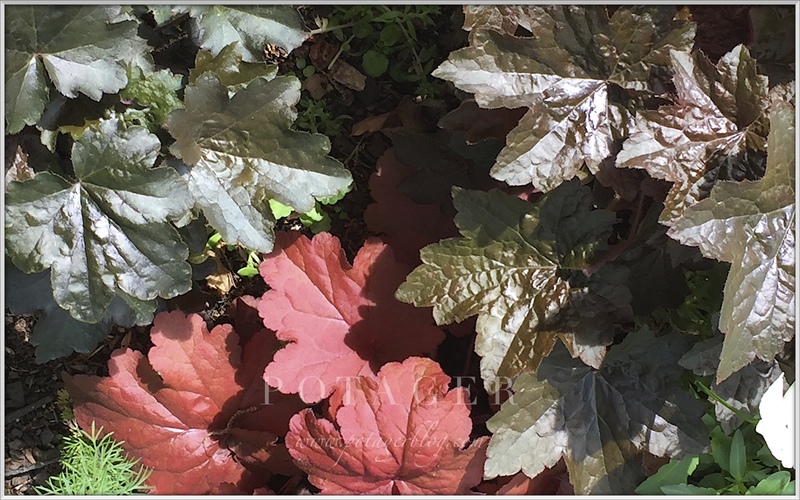 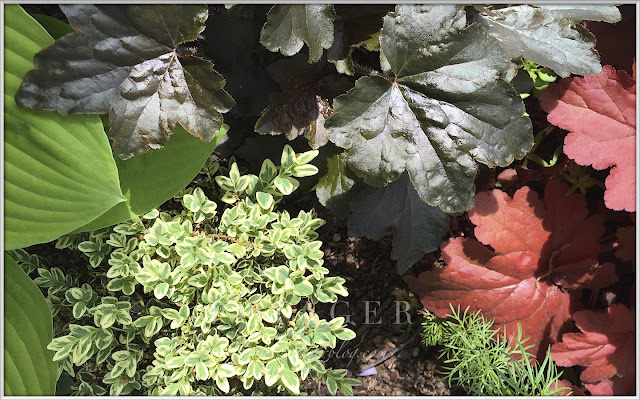 This year I added Fire Alarm Heuchera (here), whose flame colored foliage contrasts well with any color of hosta (though I think pairing coral bells with yellow and blue leaved hosta is especially striking). 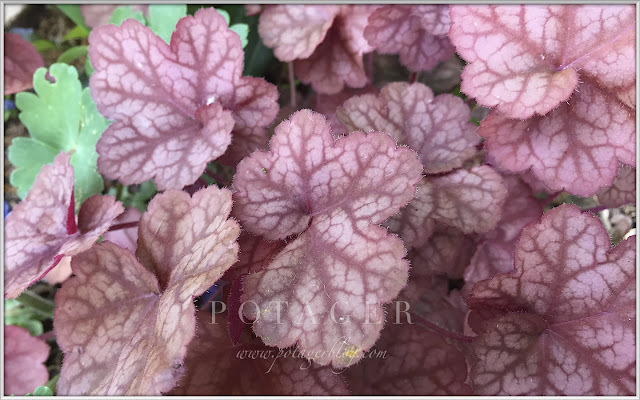 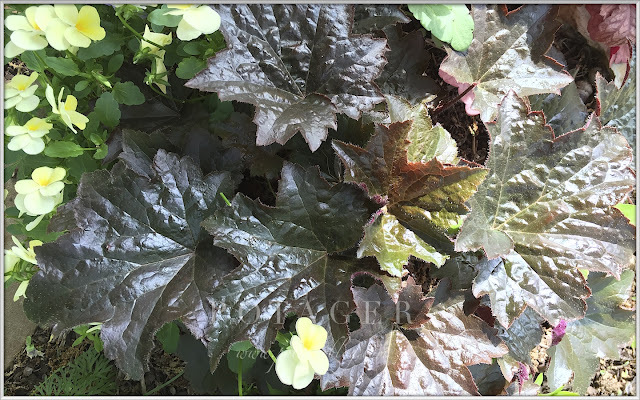 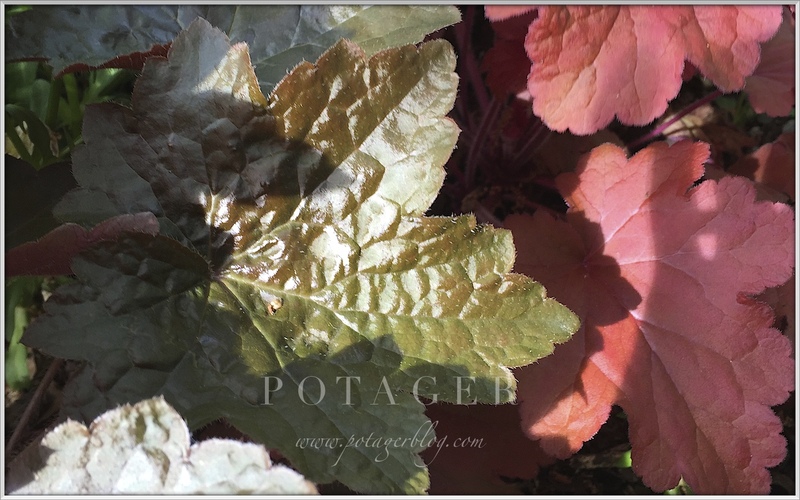 Look below and note how different the color is between 'Fire Alarm" and 'Purple Palace' heuchera. 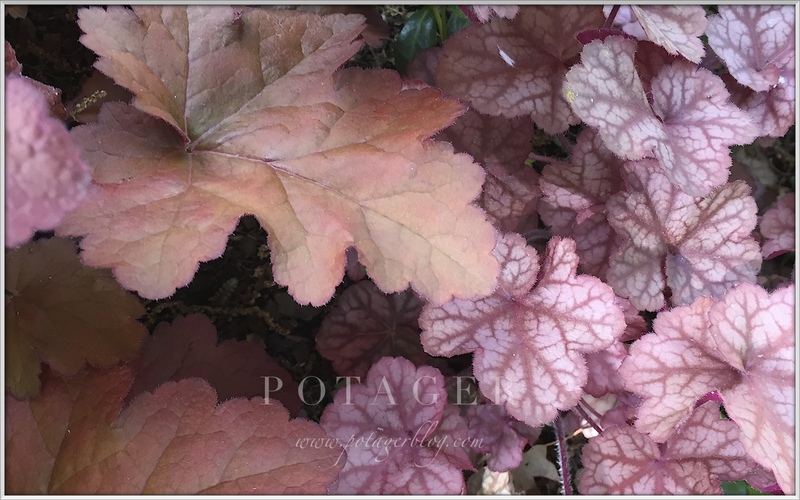 Heuchera 'Georgia Peach' plays well with others too. 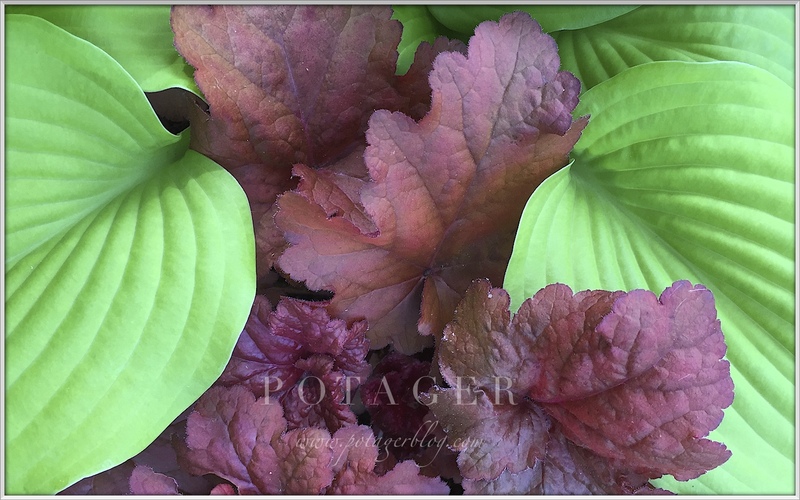 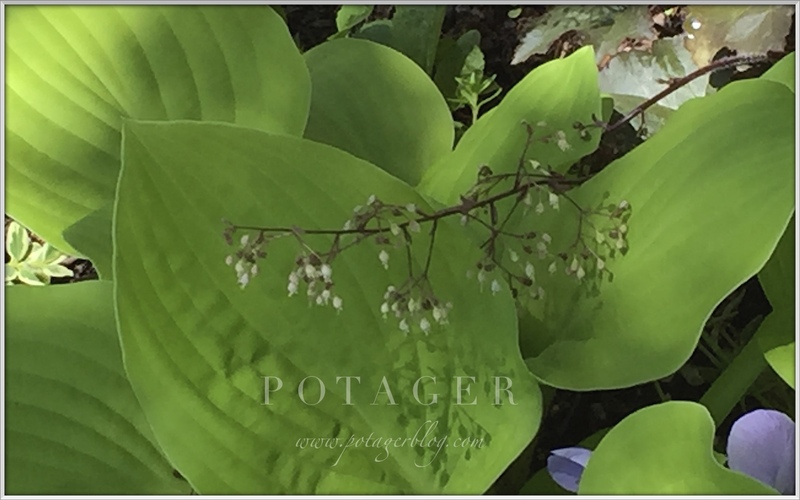 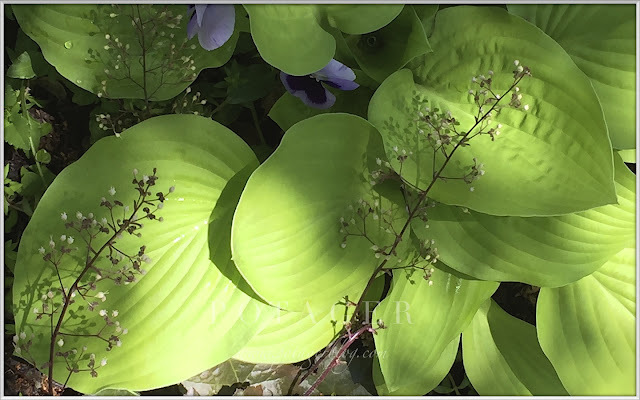 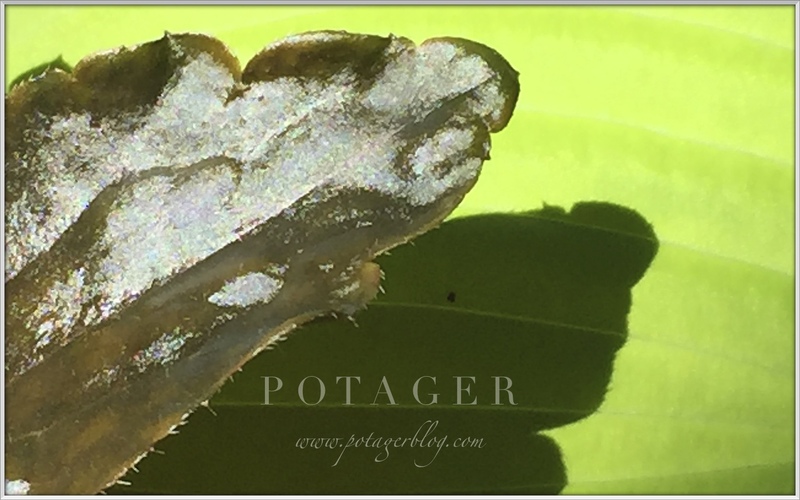 Today's Takeaway Tip: Try the plant marriage of heuchera and hosta for three season beauty.